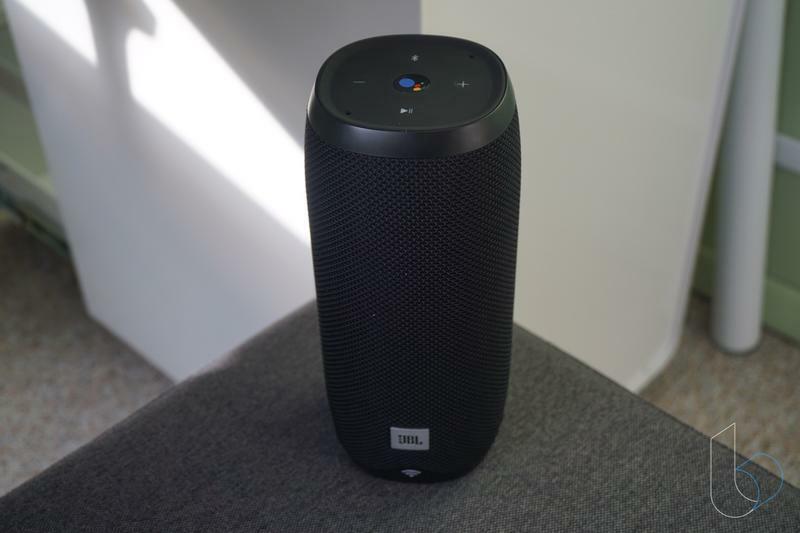 JBL's Link 20 is one of the world's first on-the-go devices powered by Google Assistant, and it'll likely remain the best voice-activated portable speaker for most of 2018. The audio company figured out that the smarts of Google combined with its own award-winning engineering makes a near-perfect pairing. 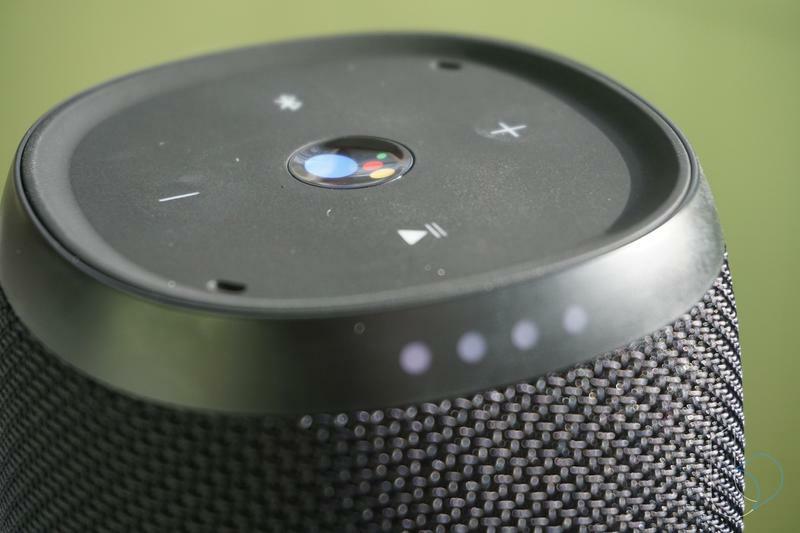 Speakers that can be controlled by voice are on the rise, and that's because of Amazon. 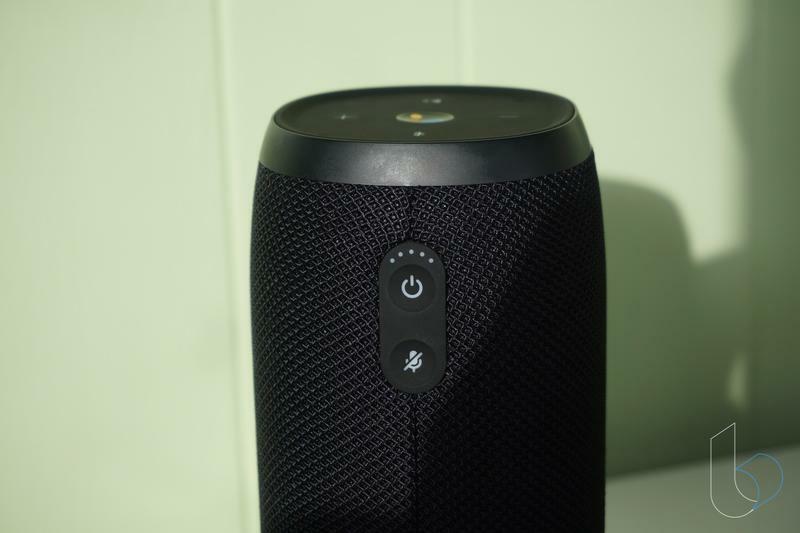 These days you can find a wealth of Alexa-powered portable speakers. Now we're seeing products in the category come from a few brands opting to use Google Assistant rather than Alexa. The digital assistant from Google is far more intelligent, though Amazon's Alexa is capable of connecting to a larger number of ecosystems. 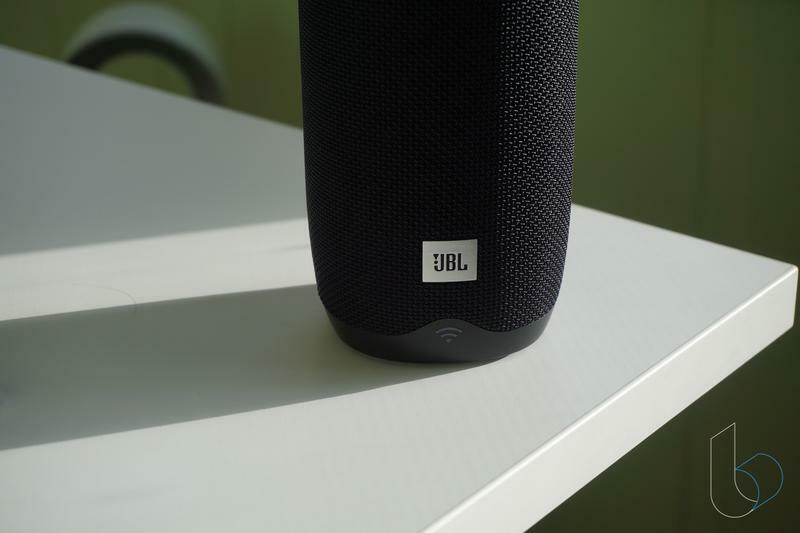 One of the brands embracing Google Assistant early on is JBL, who believes in Google's mission to achieve the success Amazon obtained in three years. There's no doubt the Link 20 should sound above average given its maker's history. 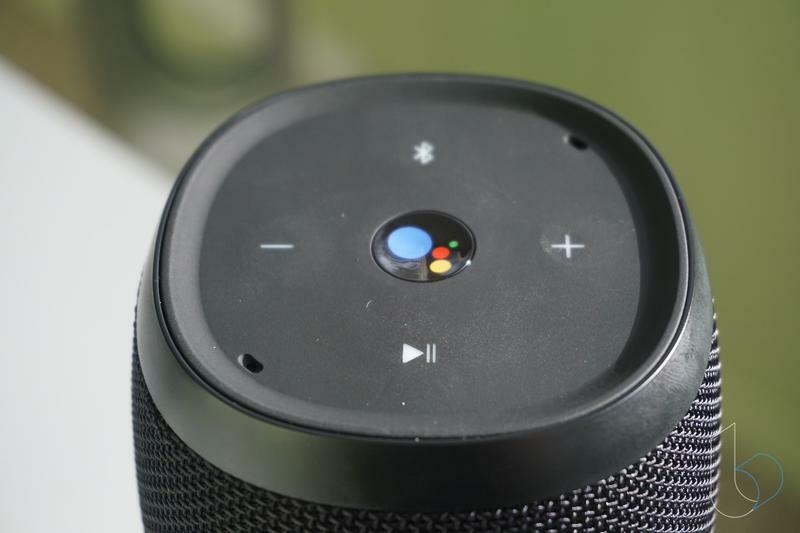 For this device, the big question mark is whether or not Google Assistant is valuable in a portable speaker. Design is important for JBL, but its products aren't built to stand out. The Link 20 looks and feels like a $199 product should. In your choice of black or white, the Link 20 is a portable made of two materials. 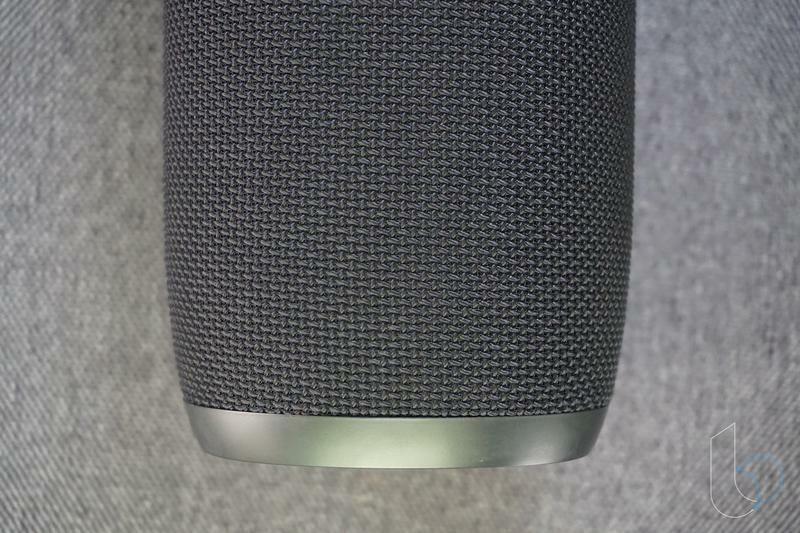 The fabric-based speaker grill, which fires 360-degree sound, adds a little texture to the body. The top, bottom, and front/back cutouts are all rubber. JBL only used plastic for its logo, and that's totally fine. Regardless of the color you get, the Link 20 blends in everywhere it goes. If you're looking for a small portable speaker, this probably isn't for you. JBL needed to pack a lot of audio technology into the device; therefore, expect size and heft. Of course, the Link 20 doesn't carry like a brick, but you might be in for a surprise. It's also disappointing that JBL didn't go for a two-position design. The only way to orient the Link 20 properly is vertically. But really, neither the size nor the weight is actually a problem. 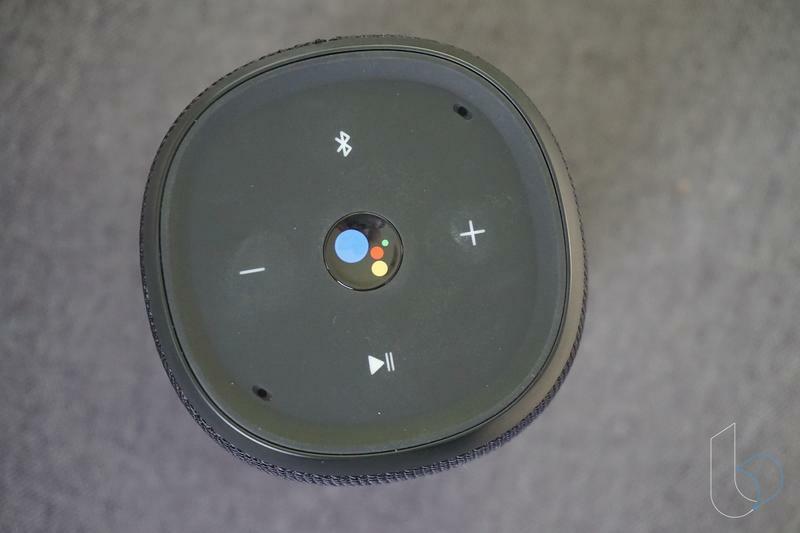 The top is where you'll find buttons for play/pause, volume, Bluetooth, and Google Assistant. Other buttons, for power and mute, are on the back with an LED indicator for battery life. And near the bottom is a small flap that, when lifted, exposes the micro-USB port. Overall, the Link 20 doesn't have any design flaws that make you think twice about buying. It's a no-compromise appearance that fits in anywhere you place the Link 20. 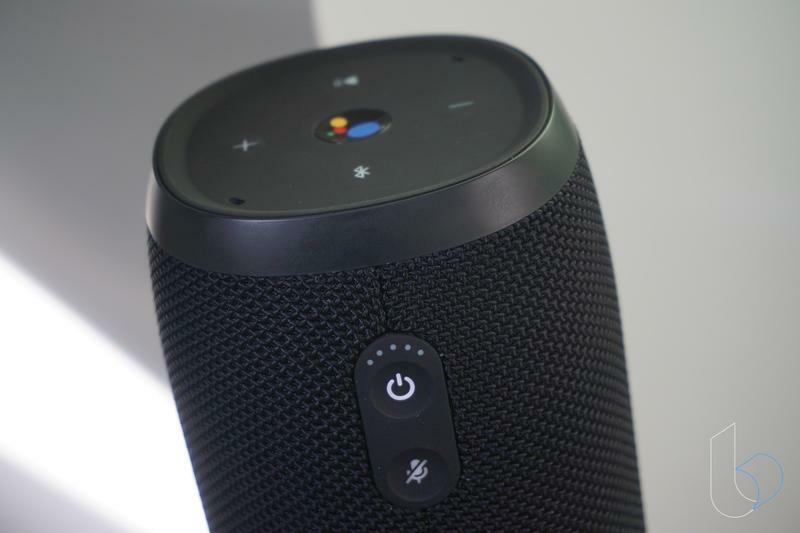 By the way, JBL made the portable speaker waterproof as well. The IPX7 certification means you can take it out by the pool, in the rain, and to the beach without a worry of what water will do. 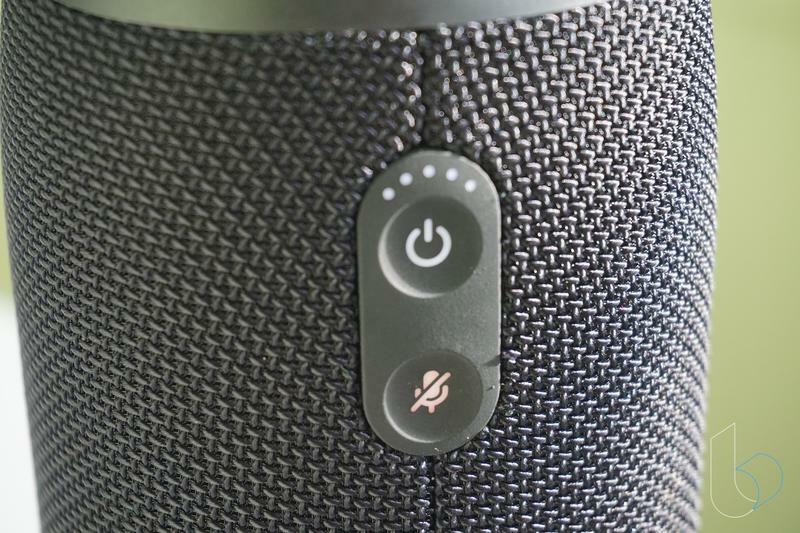 You already know that the vast majority of the products made by JBL sound amazing; however, we still need to give you our take on the Link 20's as a speaker. Spoiler: JBL nailed it. I listened to dozens of new and old songs on the Link 20, and the stereo sound was far better than what I expected. My bar, though, is pretty low. So I had a friend over who's really into audio, and he said the frequency response (65Hz-20kHz) and output power (2x10W) are accurate. In addition, he sided with me in believing the sound produced by the Link 20's speakers is deep and full while not losing quality at high volume. That means you can pair the Link 20 with other speakers and create a seriously immersive listening experience. Battery life lines up well with JBL's estimate of ten hours. Keep in mind this isn't a device for endless use anyway. Who's going to be using the Link 20 for more than two or three hours straight? My point exactly. If you use the Link 20 for a normal amount of hits with Google Assistant and some music playback, a single charge is going to last days. Getting the Link 20 set up is a breeze. If you've ever set up a Google Home or Google Home Mini, you already know what to do. Just get the Google Home app, make sure your Link 20 is on, and then you'll be guided through pairing accounts. After that, you're ready to chat with Google Assistant at (almost any time). It's very important to remember that you can only use the "OK Google" command, and thus Google Assistant altogether, when you're connected to a Wi-Fi network. 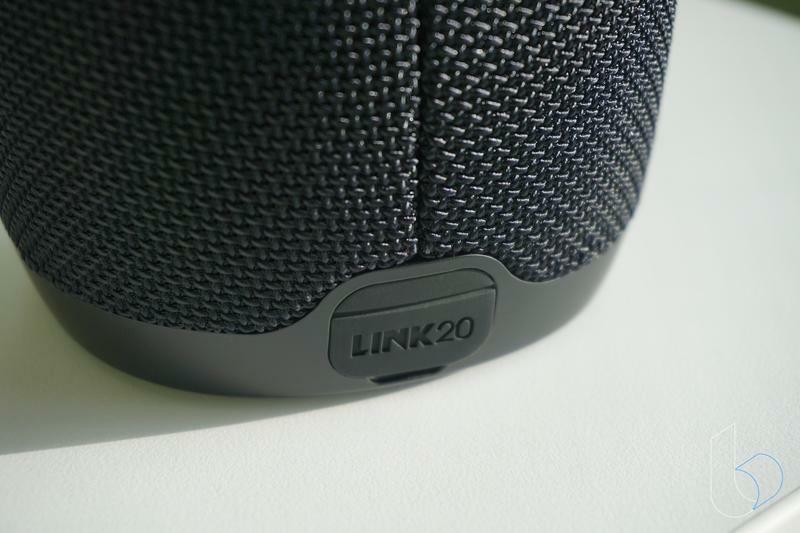 Away from a Wi-Fi network, the Link 20 downgrades to standard portable speaker (albeit an excellent one) receiving data from a Bluetooth connection. So, around the house, you can definitely use the Link 20 like a Google Home. Google's digital assistant serves up news, weather and traffic reports, music, jokes, and whatever else you want. 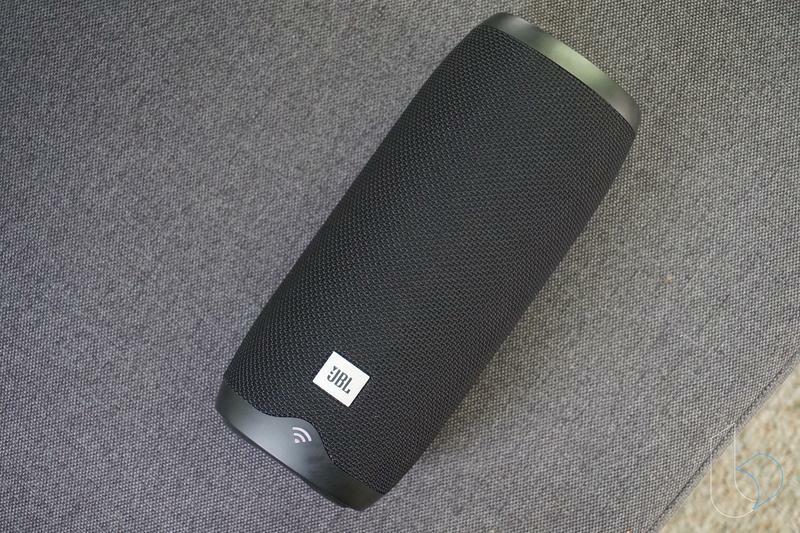 Where JBL's Link 20 falls short is its compatibility with other services, but that's not its fault. That's on Google. Developers have flocked to Amazon's Alexa because it arrived first and works with the two most popular mobile operating systems. There's an increasing number of services adding Google Assistant support, but it's nowhere near close to what Alexa has. 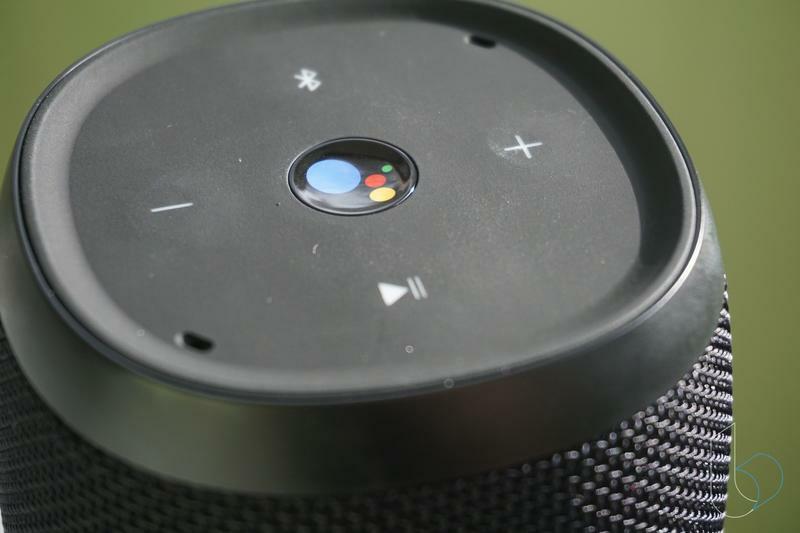 You can use this smart portable speaker with Google Play Music, Chromecast, TuneIn, Pandora, Samsung SmartThings, Nest, Philips Hue, and other platforms. 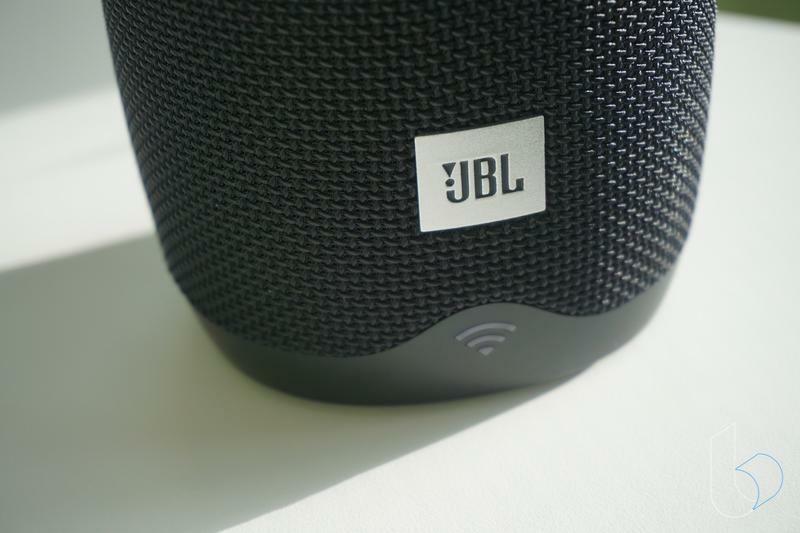 It'll behave just like a Google Home except the JBL Link 20 is portable and doesn't have any wires holding it down. Now that you know the Link 20 doesn't offer Google Assistant's help without a Wi-Fi network nearby, you're probably wondering why anyone would buy this. The answer is simple. If you're someone who cares about the way your music sounds, JBL's technology is unrivaled in the space. The Link 20 sounds way better than Google Home, and it's only $70 more expensive. It also bests a bunch of the Alexa-powered speakers ranking high on Amazon. 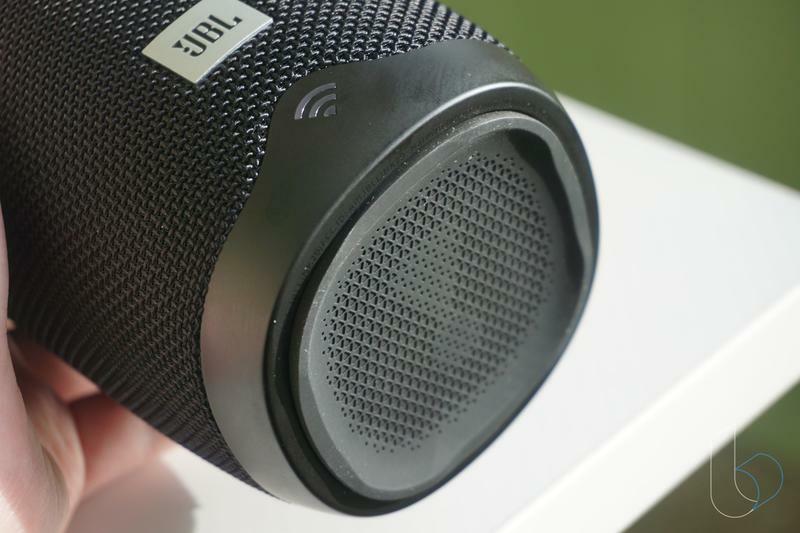 JBL is letting you have the ability to take a premium speaker with you to different places in your home and beyond. Hosting a little dinner party? The Link 20 can stay hidden but fill the room with rich, crisp music. And it can even adjust the temperature in the room using your voice alone if you have a Nest Thermostat. 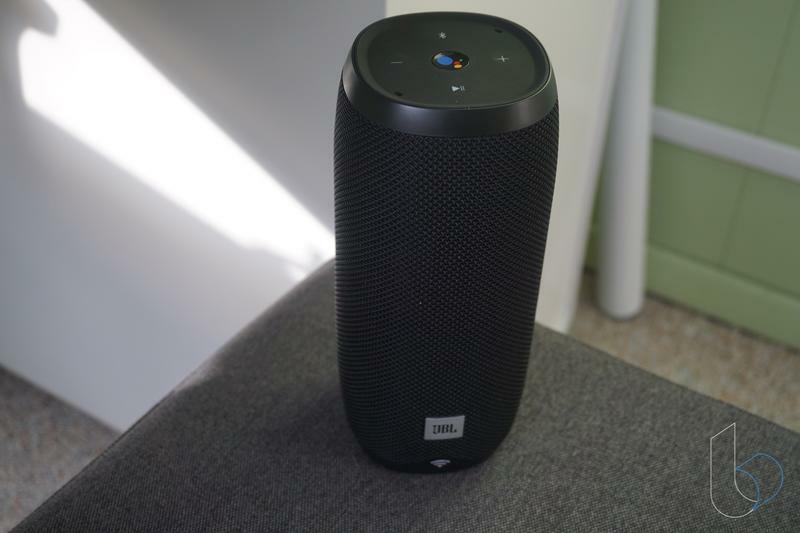 Then, when you're out and about, you can whip out JBL's Link 20 to provide on-the-go music that sounds leaps and bounds better than whatever cheap portable speaker your friends have. 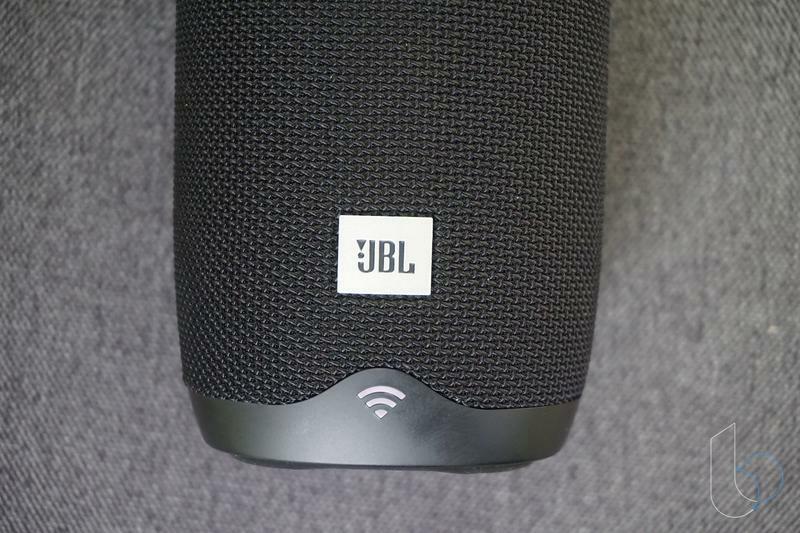 Those loyal to Alexa should stay with Amazon's digital assistant, but people just getting into connected devices who are also seeking premium sound can pick up the JBL Link 20 and never look back.